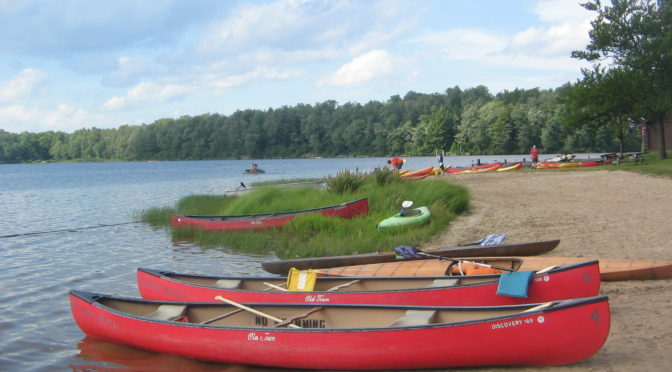 Drive up to Carlisle Canoe Livery in Grayling on Thursday, July 21 and unload gear. Drop my vehicle off at Parmalee Bridge and get shuttled back to Carlisle. Take a leisurely paddle to Whitepine Canoe Campground. Day 1 should include about 7 hours of very casual paddling. On day 2 (Friday, July 22), break camp then take a short 5 hour paddle to Parmalee Bridge Canoe Campground. Day 3 (Saturday, July 23) will be breaking camp, pulling out at the Parmalee launch, loading up the vehicle, grabbing some breakfast, and coming back down to SE Michigan. All of this, of course, presumes that the weather is going to play ball, but at this time, it certainly looks that way! If this sounds like the sort of thing you’d find fun (and you have nothing going on very last minute next week), the total cost is going to be south of $50 plus food and whatever gear you’re missing. Carlisle rents boats, so if you don’t have a boat, I believe it costs $70 to rent one for the trip. In the interim, I’m going to take lots of pictures and post about the trip, as I’ve never done the Au Sable before!